Posters are popping up everywhere. 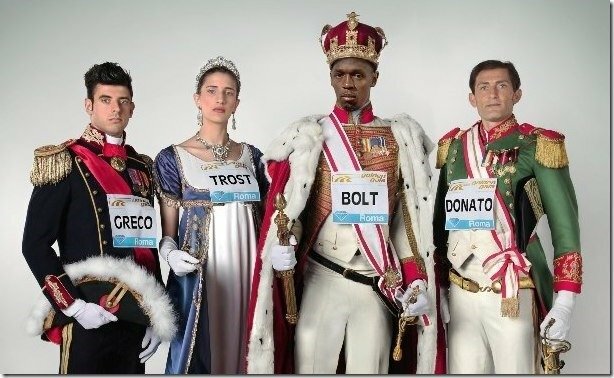 Usain Bolt is coming to town! Thursday, June 6 is the Rome Golden Gala, and this year, they will be honoring Pietro Mennea. What better way to promote the meet than to showcase the best Italian talent with Alessia Trost (2.00m HJ), Daniele Greco (17.70m TJ) and 2012 London Olympic bronze medalist Fabrizio Donato (17.73m TJ)? Sorry everyone, they left out Michael Tumi and Andrew Howe! Click on the image for the full picture. 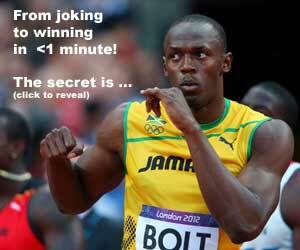 Will the Real Usain Bolt please stand up? But was Usain Bolt really in town? Actually, no, they used a 6 foot 6 inch stand-in Kevin Ojiaku and luckily we have Adobe Photoshop! We need more fun in Track & Field!